NOS or mint only, and any info would be appreciated as well. Did they make a pink checkerboard Bug ? Thought they only came in blue, silver and black. I've seen the Bug'n Ants in pink though. Contact me with any Madrid stuff you have that is no longer wanted. Yes, I only have ever seen this used one and I own it. I've got these to lesser sought after decks floating around - both are however gripped. It scares me to ask how much you want for them Lee. 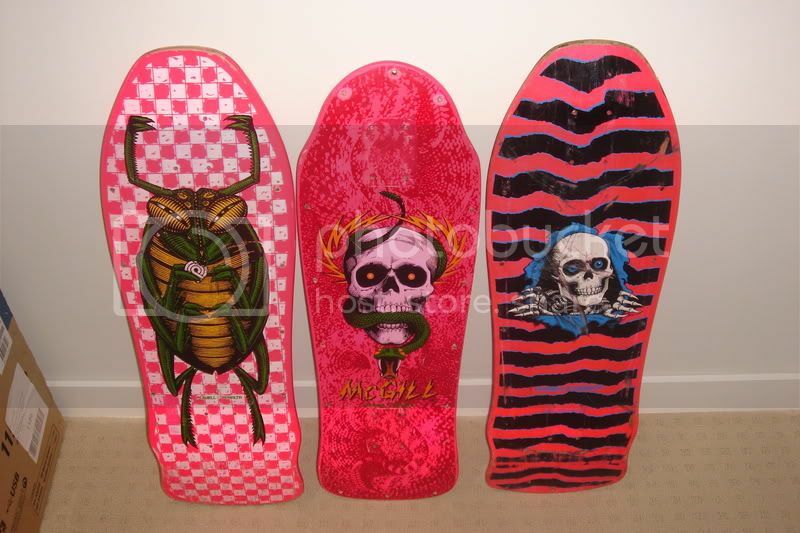 And yes Im on the pink lmfp thats on ebay atm. cool, that's the first pink checkered bug I have seen . Bump, one nearly nailed down. bump, there must be some of these out there.